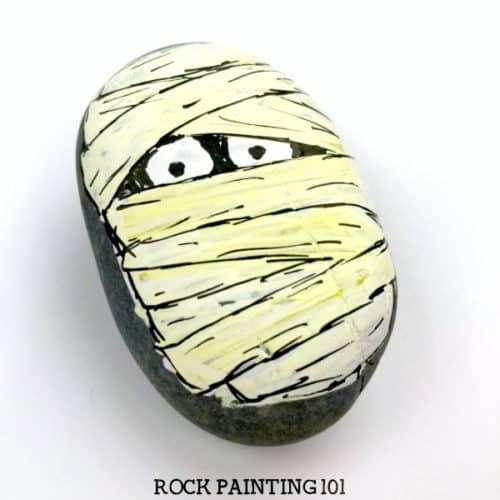 11 easy Halloween rock painting ideas guaranteed to wow! 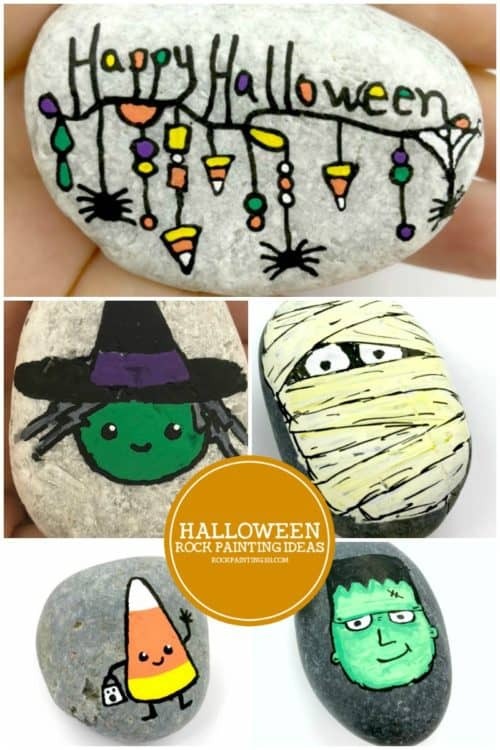 These fun Halloween rock painting ideas are spooky and fun. 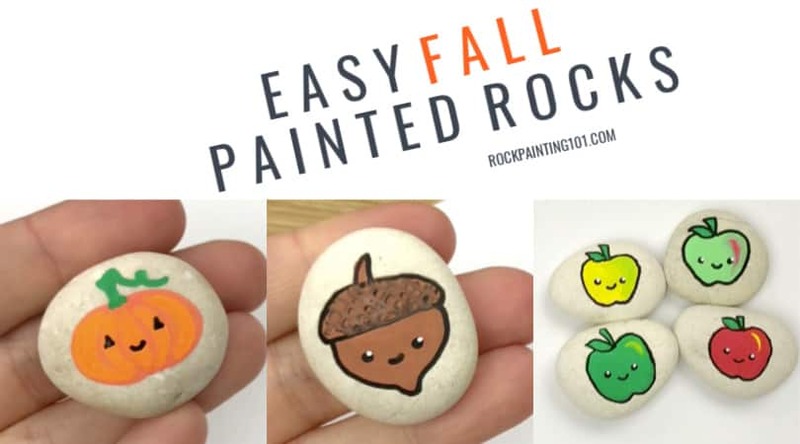 Check out the step by step tutorials and create amazing rocks that are perfect for hiding or giving as gifts. Halloween is one of my favorite Holidays. There is something about the fun costumes, the spooky stories, and the sounds of leaves under the kid’s feet. Ever since I was a kid and my mom created our costumes, Halloween has been about creating. 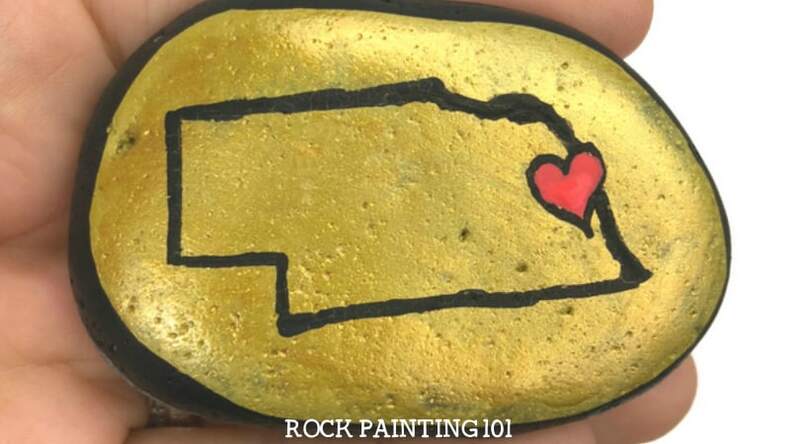 So painting rocks is a fun new way to create this holiday. 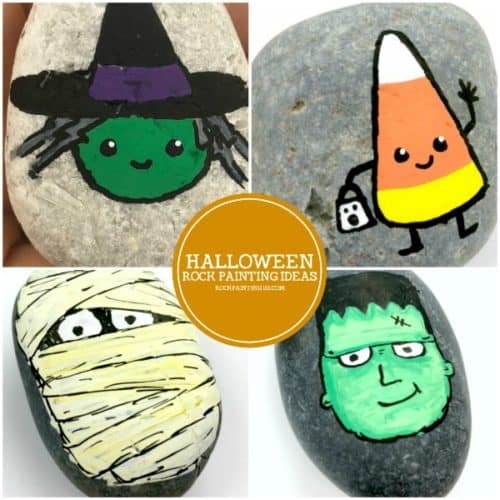 These Halloween rock painting ideas are perfect for hiding around town or handing out to trick-or-treaters! I dare you to pick just one!! 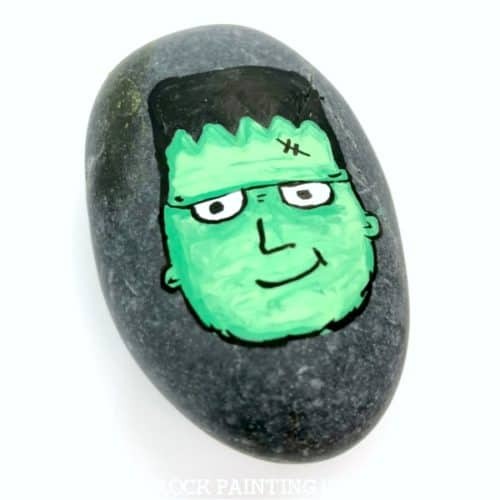 Nothing says Halloween better than a friendly Frankenstein’s monster! This step by step tutorial will walk you through creating this cute and creepy monster. 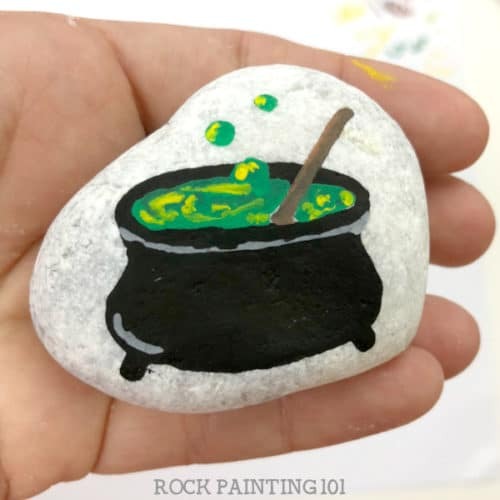 This fun painted rock can be created in loads of different colors. He’s just spooky enough for some Halloween fun! 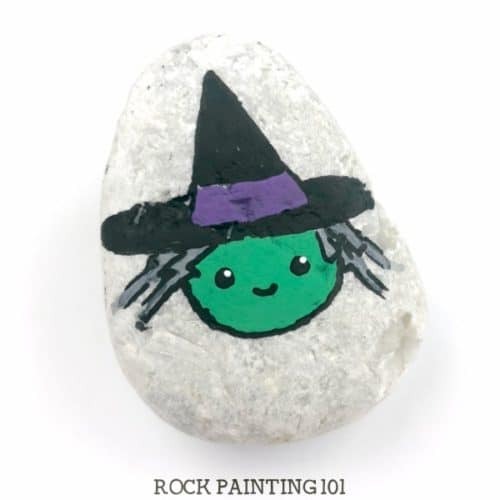 You may think that painting a witch is too hard for beginners. 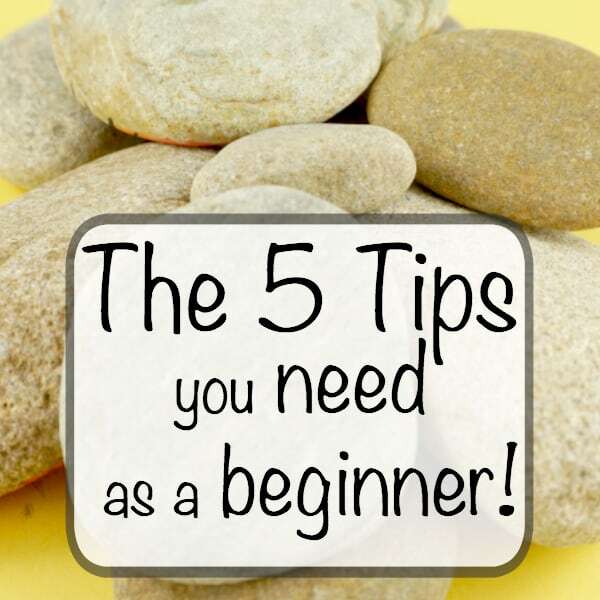 But this tutorial makes it super easy!! 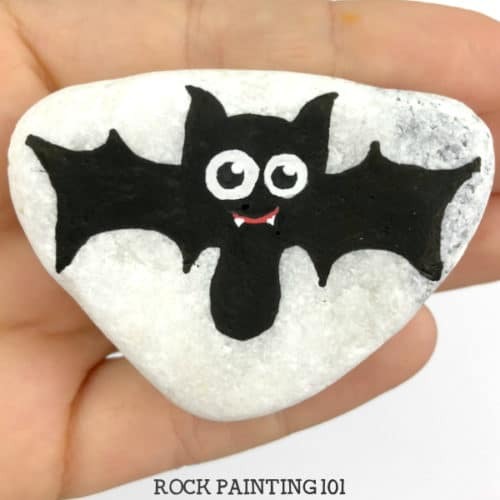 I love this fun bat rock painting idea! 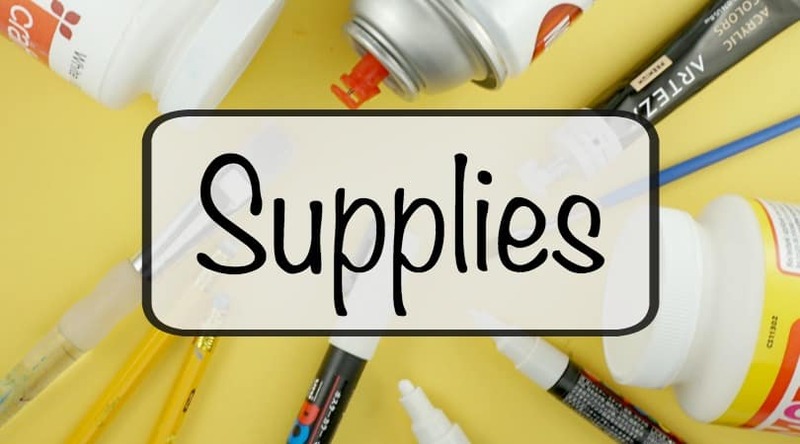 Check out the full tutorial on our Facebook Live. 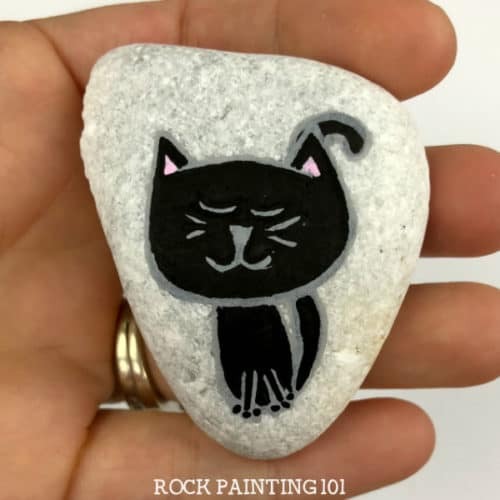 Learn how to paint this black cat. Perfect for causing all sorts of Halloween superstitions. Double, double, toil, and trouble. 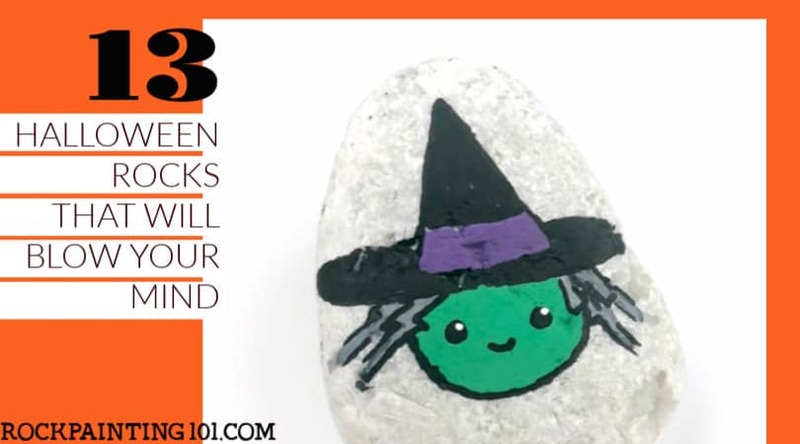 This rock is spooky fun and perfect for hiding around Halloween. 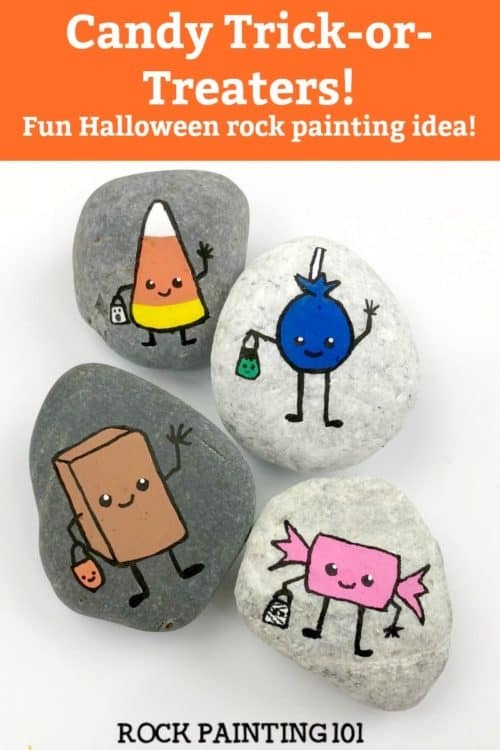 Create fun dangle rocks with this Halloween tutorial. This collection of candy trick-or-treaters is perfect for passing out this Halloween! No candy is more Halloween than candy corn! 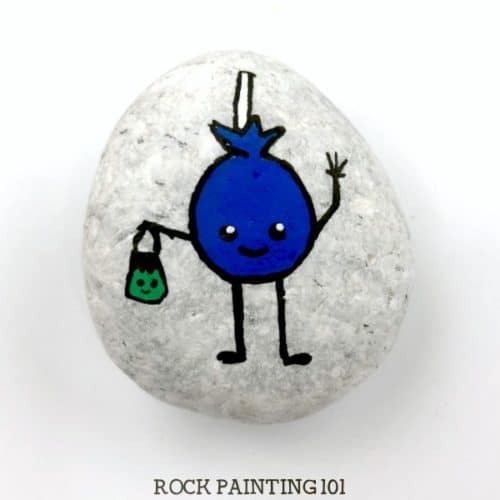 Paint this cute character on a rock and hand him out to the kiddos! Sucker or lollipop. Whatever you call him, he’s cute and fun! 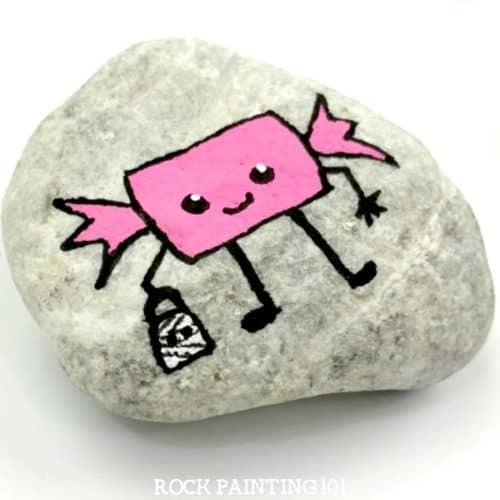 Bubblegum is a favorite in our house and so are these painted stones!! Who doesn’t love chocolate?!? 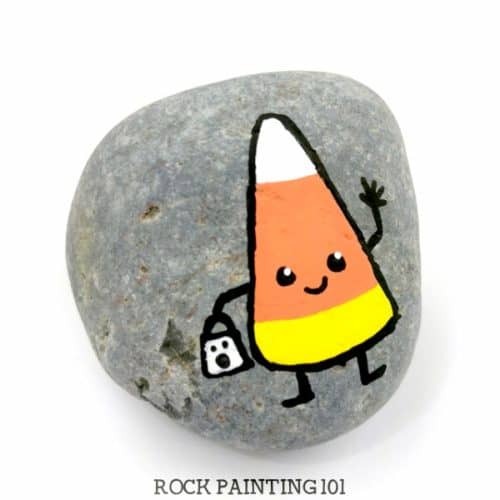 This adorable chocolate candy painted rock is perfect for your Halloween rocks collection. 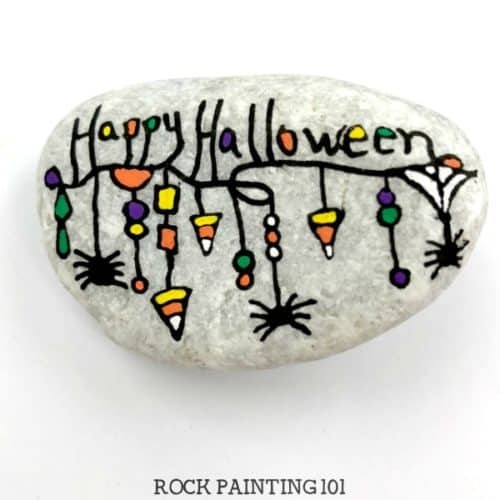 These fun Halloween rock painting ideas are sure to put a smile on someone’s face. 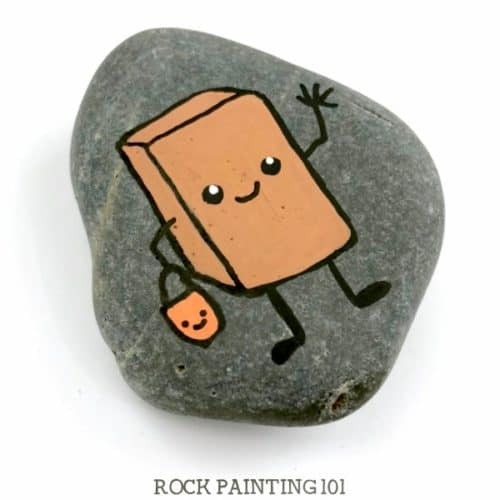 Pin these stone painting ideas to your favorite Pinterest board!